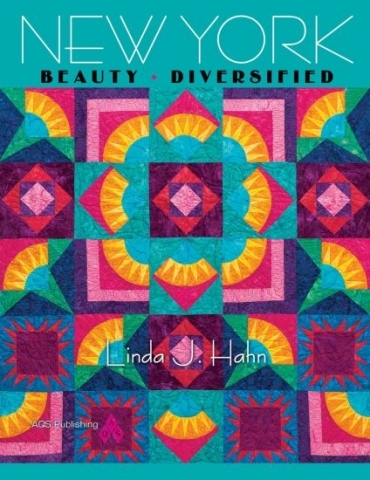 Linda Hahn's newest book, New York Beauty - Diversified from AQS Publishers has arrived! 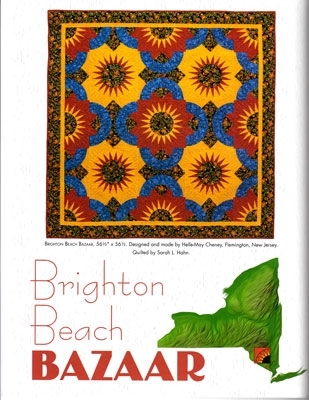 I am so excited to have my quilt, Brighton Beach Bazaaar included as one of the 14 stunning quilt projects. Once again, Linda teaches you her foolproof technique to making perfect New York Beauty Blocks. By mixing and matching a variety of blocks with the New York Beauty Blocks - Linda takes New York Beauty quilts to a whole new level! The book is well organized with step by step instructions and lots of photos to help you create one of the quilts or create your own diversity! Learn more about Linda and order your book at www.froghollowdesigns.com!